Libyans peacefully celebrate in Msallata, Libya. UN photo by Iason Foounten. When Libyan protestors channeled their anger against the violent extremist militias deemed responsible for killing the US Ambassador last week, it was surprising but hardly unique. As was widely reported, demanding greater security and rule of law, Libyans massed around the compound of Ansar al-Shariah and then stormed it, burning cars and forcing the militia members to flee. More than a simple “peace protest,” they directly denied aggressors the means to use violence. Rare, right? Wrong. It turns out that these kinds of events are pretty common. We just don’t see them very often because of underreporting, and because they are so hard to classify. 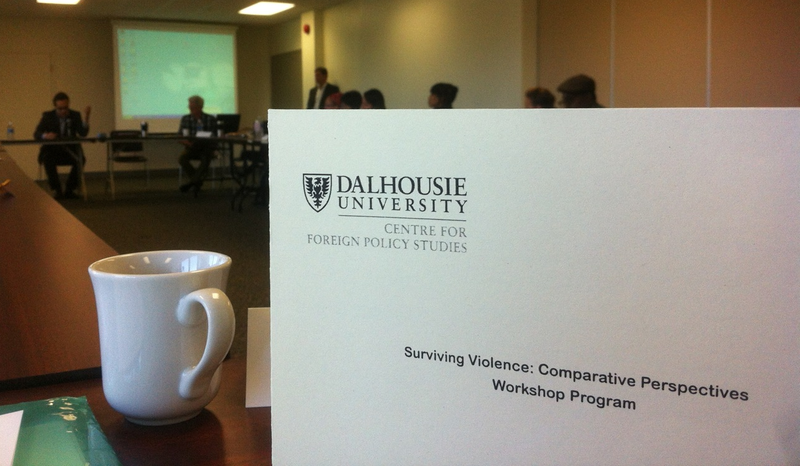 Around the globe, civilians seem to universally detest violence, so the preference to counter violent groups exist. 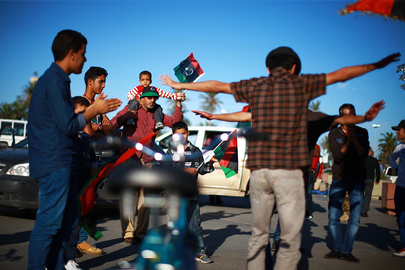 In Libya, a recent Gallup poll shows 95 percent of Libyans want the militias dissolved. The challenge is how to muster the reassurance it takes to overcome fear and actually unite to act against extremists. Anti-violence protests can sometimes get out of hand too. The line between protest and violent vigilantism is thin. In cases from Mexico, Guatemala, and other countries, all too frequently protests for security devolve into violence. Most recently I blogged about how Honduran Indians upset about a botched drug raid took out their frustrations on neighbors who had ties to the drug cartels. While not killing anyone or clearly intending harm, the strong signal sent by the burning-down of their houses bordered on vigilantism. Direct action against violent groups by civilians may be rarer in cities, which are usually better controlled and less lawless (i.e., it is less common to find rebel groups in cities compared with the countryside). However, when illegal armed actors do exist in cities, they tend to be heavily armed. For instance, when protestors stormed the second Rufallah al-Sihati brigade militia, four people were killed in the ensuing firefight. Civilians tend to brave risks, stand up for themselves, and repudiate violence when their own community members are affected. But they’re less likely to take such risks on behalf of “outsiders.” What’s striking in this case is that protestors stood up for the American ambassador, the bilateral relationship, and the related development opportunities that he represented. This evokes examples of Afghan villages providing safe-haven to injured US soldiers as part of Pashtunwali codes. One can hope the counter-protests are a credible signal to Americans that not all Libyans are anti-American. They could also serve as a calming signal to observers in the Muslim world — that misdirected rage at America and its representatives is not widely condoned. Unfortunately, for the moment, the signal that not all Muslims are violent may be more muddled and the events may be less helpful for countering that negative stereotype. These anti-extremist protest movements represent tantalizing opportunities. 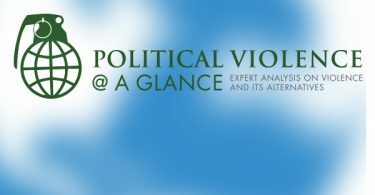 Governments might seek to better understand how such anti-extremist protest movements begin, how they can be nurtured so they are not co-opted by thugs, and how to transition to sustainable stability. For the moment, the Libyan government seems to be “pulling an Awakening” and bandwagoning on the protest with its ultimatum that the militias disband. If it’s serious about doing so, research suggests the Libyan government should strengthen local neighborhood and community institutions. Whether the actor of the day be protestors, (government-allied) militias, or the military, this will hopefully facilitate closer links and accountability to the “pacifist” majority. Regardless, the fact that the government is responding to popular pressures from anti-extremists instead of extremists is a hopeful sign indeed.